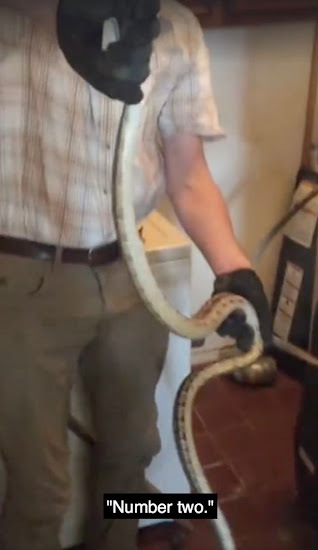 A family doing their laundry got a shock when they discovered two snakes inside the pipes of their tumble dryer. Wildlife control experts were called to remove the serpents, which looked to be at least 4ft in length each, from inside the unit. And others say they've pulled "plenty" of the reptiles from similar hiding places - but there is one simple way to stop it from happening. 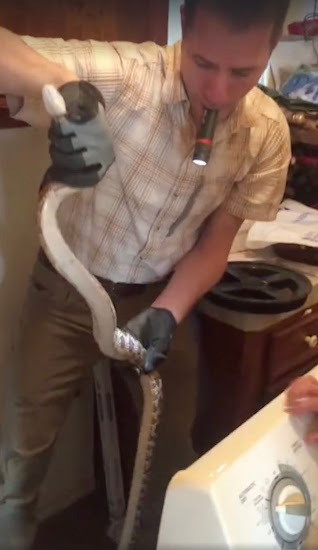 "Yes folks, believe it or not, we’ve also pulled plenty of them out of dryer and exhaust vents," said Virginia Wildlife Management and Control, sharing a viral video of the two snakes being rescued. "If you don’t have guards on yours, let us know and we’ll be happy to install one on them, so you will NEVER have to worry about this happening to you." 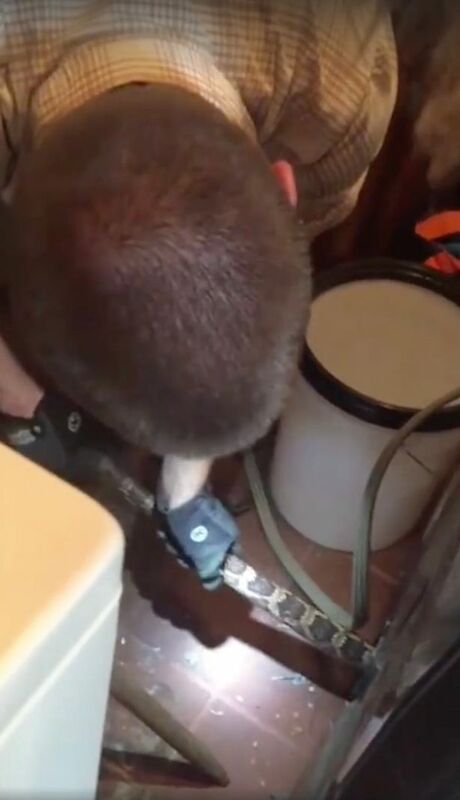 The one-minute 27-second clip shared on Facebook shows the moment a wildlife expert rips open the pipe of the tumble dryer, in what appears to be a family home at an unknown location. A snake is revealed and a horrified onlooker can be heard saying: "I can see its head." A child in the background can he heard repeatedly shouting as the snake is discovered and removed, clearly surprised to see it there. The creature is slowly pulled from the pipe but appears to resist, before curling up once removed entirely. The snake is then placed inside a white plastic bucket, before the expert turns his attention to locating the second reptile. He quickly finds the marginally smaller snake inside another section of the machine, before using the same technique to remove it. As he does so, he jumps, causing the person filming the clip - which has been watched more than 10 million times - to scream in fear. The handler then drops the serpent into the bucket with its pal, where it can be seen writhing around before a lid is placed on top. "Nope...never washing clothes again," was the caption for the viral clip. In a scene likened to a horror movie, a 54-year-old woman was eaten alive by a giant python near her home in Southeast Sulawesi last week. Her lifeless body was later cut from the beast after a search party discovered the huge snake barely able to move with a huge bulge in its belly.